Can Dogs Eat Grass? Why Do Dogs Eat Grass? Can dogs eat grass? Yes, dogs often tend to eat grass. However, the question you should be asking is not whether they can eat grass, but whether they should eat grass. Your dog begs, pleads, whines and gives you the puppy dog eyes and eventually you cave in and let him go outside. You let your dog out to play, only to get him/her to immediately start munching on grass. By now you may be pretty baffled. Your darling canine is certainly not a goat, so why is s/he chomping on grass? Is eating grass a habit born out of boredom, hunger or is your dog unwell? Will this habit cause him/her harm? Dogs are known to eat grass, more often out of boredom and curiosity than out of hunger. Puppies also like to eat grass because it is in the nature of the puppy to chew, and grass is readily available and easy to eat. You have a right to be worried if you see your dog take an interest in eating grass, particularly if this habit is causing your dog to vomit. If you are concerned that you are failing at your job as a dog parent, know that your dog is not the first to have picked up this peculiar habit, and there are ways to fix this problem. Whether you dogs choose to eat grass is not a reflection upon your job as a dog parent. Dogs are peculiar and unusual in their own ways, and the dog you have that has an interest in grass may simply be the quirk your dog possesses. In medical terminology, this disorder is called “pica” and is regarded as the pattern of eating substances other than food. As a result of this disorder, dogs often start eating substances like grass or their own excrements. 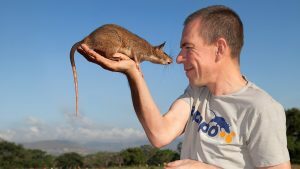 Pica affects adults a well as humans. In the matter of adults, humans are drawn to eat chalk, sand, and other dry and grainy items. This craving for unusual items that are not food derives from a nutritional deficiency, causing peculiar cravings among humans. Dogs are at risk of developing this disorder as well. Rather than eating chalk, the dog will choose grass. While a nutritional deficiency may be common in puppies, in older dogs the cause of this illness is often nutritional deficiency caused by an unbalanced diet. 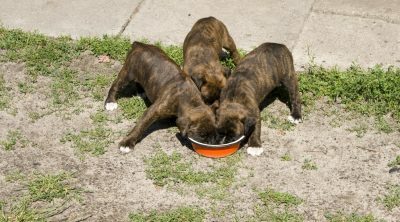 Determining the cause of the nutritional deficiency is often related to age, so to determine where your dog’s diet is lacking, one must take into account age, breed, and the amount of growing and development left to maturity. Contacting your vet will be the best method of determining the correct dietary needs of your dog. A veterinarian is also able to draw blood from your dog and test the blood for potential deficiencies and determine any supplements that may need to be added. If your dog shows no qualms in eating the scraps left at your dinner table or scavenging through the trash, what makes you think s/he will have any qualms in eating anything else? Dog who enjoy eating trash straight from the pail, or snatching food from the counter, may find the temptation of grass to be too much to overcome. Grass is plentiful and easy to eat for most dogs, whereas digging in the trash and climbing on tabletops take a bit more effort. Canines will always seek out substances to provide them with nutrition; as a scavenger that is simply the way they are wired. Dogs must be able to find a source of food wherever they happen to be at any given time. Due to their genetic instincts, a dog does not associate grass as ‘grass’ in a yard, but as a food source there for the taking. In order to prevent your dog from eating grass, try switching your dog to a diet high in fiber. 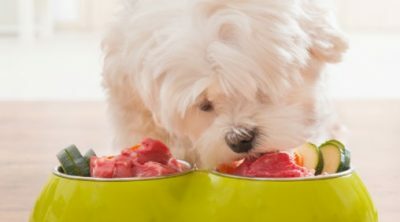 Attempting to meet the nutritional deficit your dog is lacking will help offset his/her craving for unusual food sources and also reduce the instinct to eat all food available. If all of your pet’s nutritional requirements are being met, there will be no need for to seek out food elsewhere. One study showed a poodle that consumed grass and the dog then vomited daily for 7 years. However, when put on a diet high in fiber, the poodle altogether stopped consuming grass within 3 days. While this study is only showing the ramifications of grass eating on one particular dog and breed, the study can be attributed to most dogs given that the dogs are similar. 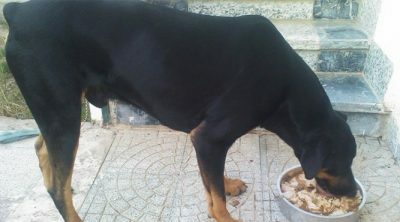 A dog that vomits every day after grass but then stops all together after having a fiber rich diet is a dog highlighting the benefits of proper nutrition in regards to Pica and vomiting cycles. That being said, before you make any major changes to your dog’s diet, you should consult your veterinarian to make sure there are no unforeseen repercussions. Always research the breed and size of your dog before making diet alterations or when attempting to discern the amount of nutrition necessary. Asking the advice of your local veterinarian and adhering to the guidelines is very important to healing your dog of potential problems like Pica. Your dog might just be bored. Sitting alone in the yard with nothing to do, your furry buddy may just think to itself “oh perhaps I should go chomp on some grass”. The question to ask then is: “What can you do to make sure your dog gets all the daily exercise needed, both physically and mentally?” The answer to this may be as easy as getting your dog a new chew toy or taking him out for regular walks around the block. Another theory as to why dogs eat grass (outside of the eating disorder Pica) is that dogs eat grass in an effort to self-medicate; in order to vomit when they feel unwell. Dogs may have an evolutionary disposition programmed in their brains that tell a dog to eat grass when their stomach is upset. A human may take Pepto Bismol or take and antacid where a dog may find a need to eat grass to offset stomach upset. 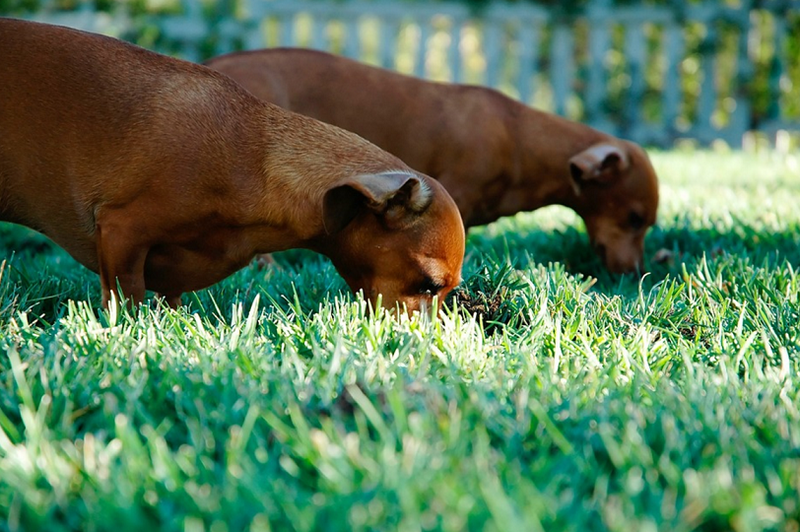 In some dogs, the eating of grass causes vomiting, which leads to a better feeling stomach. When this occurs often enough, the dog may then be pre-dispositioned to use this tactic again. Often it is suggested that eating grass may in fact improve your dog’s digestion and help treat some underlying medical condition like intestinal worms. 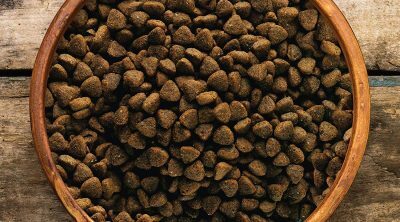 Getting your dog to improve his/her digestion may not be easy if your dog dislikes fiber sources you offer. 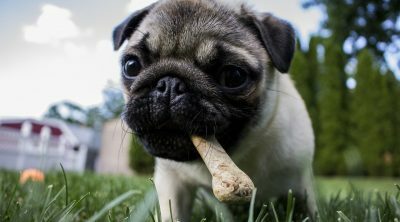 Allowing your dog to eat the grass in the yard on account for aiding digestion may seem reasonable to some. However, there is little to support the argument for grass being a good substitute for fiber. For one, studies have yet to prove that dogs possess the mental capability to know to eat grass when they feel unwell. In fact, evidence actually points more towards the contrary, i.e., most grass eating dogs are perfectly healthy beforehand. Studies show less than 9% of dogs to have been unwell before consuming the grass. And, less than 25% out of the dogs consuming grass actually regularly vomited afterwards. With 75% of dogs having the ability to eat grass without vomiting, one may be quick to believe not all dogs will vomit after grass eating thereby eliminating the theory that a dog will know to eat grass on purpose to make him/herself sick. In the event you cannot determine the cause for your dog to eat grass, you may have to consider other options. 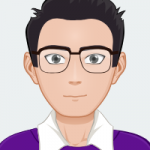 If your dog has a nutritionally sound diet, is feeling well, is not evolutionarily inclined to eat grass to solve an upset stomach, what else is there? What about taste? There is always a chance that your dog just likes the texture and taste of grass. Dogs seem to enjoy different tastes and textures than traditional dog food on occasion. Just as people enjoy a bit of variety, so do dogs. There is also the added benefit of the dog ‘hunting and gathering’ the grass which is instinctual and may be solving an unmet need of hunting. There is discrepancy over opinions of whether or not dogs possess the ability to digest grass. Some specialists say that dogs lack the necessary enzymes for grass digestion, which is what causes them to vomit after consuming grass. That said, not all dogs vomit after consuming grass. In fact, it is only less than 9% of dogs that do vomit with grass eating. Regardless of whether your dog vomits after eating grass, you should keep a close eye on your dog to make sure it does not get into the habit of eating grass. It is very likely that your dog is consuming pesticides along with the grass s/he eats. This problem can become more severe if your dog is a compulsive grass eater as the quantities of pesticides may build up in that case and result in serious harm to your dog’s health. Grass is actually one of the most often eaten plants by dogs. In fact, according to a study, out of 49 dogs that had easy access to grass, around 79% had at one point or another eaten grass. The problem with grass eating is that it affects all dogs differently. With some, there are no side effects, while in others; it results in vomiting and digestive problems. 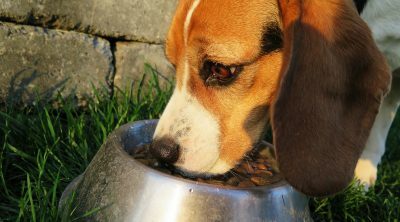 Keeping an eye on your dog and how much is consumed is important. Just as important is accessing the side effects your particular dog may encounter such as vomiting or stomach upset.